Keep Your Sewage System Under Control And Have An Inspection Done. A sewer line is what takes the sewage waste inside of your home and moves it to a different area. When these lines get clogged or damaged, it can cause all kinds of problems to occur throughout your home. Damage can happen a lot of different ways, but when you need a sewer line repair in Mills River, Hendersonville, and Asheville, NC, make sure that you call 828-778-2425 so that All About Plumbing & Septic can take care. We are dedicated plumbers that have years of experience in this field. Sewer line problems are nothing to play around with and it is very important that the repair is done or the clog is cleaned out so that nothing worse can come of it. We do more than just a simple drain unclogging, we make sure that there is no damage from the clog and a full inspection before we leave you. If there is damage in your sewer line, it is best to not try to repair it yourself and just call one of our professional plumbers. If you end up creating a hole in the line, you can create water damage that will require professional cleanup service to avoid things like mold and the spreading of bacteria. Tree roots can also be a main source of damage when it comes to sewer lines. Tree roots can get inside of the lines and cause dangerous clogs to occur. These will need to be cleaned out using a hydro-jetting technique. This technique is a great way to make sure that your lines are getting cleaned the way they are supposed to. There is no better way to get clogs out of your lines than by using hydro jetting. This will shoot water at very high speeds through the lines and push the clog or tree roots out of the line and avoid any sewer line clogs from needing to be done. When you need to have a sewer line repair done, make sure that you call All About Plumbing & Septic to take care of you fast and efficiently. 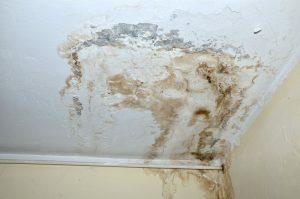 Mold Can Develop When Water Gets Trapped Behind The Walls. A broken sewer line is something that can be avoided for the most part by doing regular maintenance and paying attention to anything that might be out of the ordinary with your sewage system. In many cases, sewage lines will last for a long time in your home and you may not have any issues with them at all. If you move into a home that has been previously lived in and has not been taken care of the way that it should, this is when problems may have or will develop. There are a few major signs that you will want to pay attention to so that you are fully aware if your sewer line has broken. When you go to flush your toilet and the water will not drain down the way it is supposed to, or it begins to come back up; that means that there is a blockage or kink somewhere in that line that needs to be repaired. If you are having regular backups, it could also mean that your lines are beginning to deteriorate. 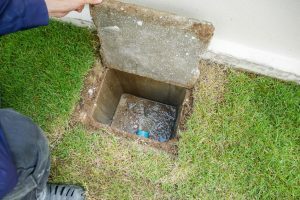 You can have this looked at by getting a video camera inspection to see if there are areas of the sewer line that could use a repair or even a replacement if it came down to it. Another large issue that comes along with sewer line repair is that if a sewer line breaks behind a wall, you may not know it right away. That means that water will be coming out and getting trapped inside the walls and starting to develop mold. Once mold is developing, it can be hard to stop and get it under control. If you start to see that there is mold growing on your walls, you must assume that there is a leak of some kind and that it very well may be from a sewer line issue. When this happens, you can call the experts at All About Plumbing & Septic to take care of it fast for you. It is unsafe and not sanitary to have a sewer line in need of a repair. We can get to you fast and at any time of the day when you need it most. Remember us when you need a sewer line repair in Mills River, Hendersonville, and Asheville, NC and call our number at 828-778-2425 for help. Updated on January 21, 2019 at 5:44 pm by All About Plumbing.